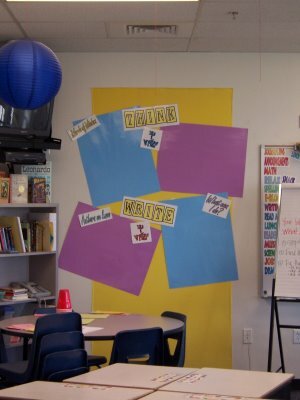 I am still working on getting these bulletin board items ready for others to download, but I’ve been looking around at tons of teaching blogs and have been loving (and pinning!) all of the cool classroom pictures, so I wanted to put up some of my own. This is what my reading and writing workshop bulletin boards look like at the beginning of the year. I’ll get some updated pictures soon — since we’re now at the end of the year. Exciting! Subscribe for freebies and classroom tips! Get exclusive freebies & practical classroom tips delivered straight to your inbox! Awesome! I really love it! 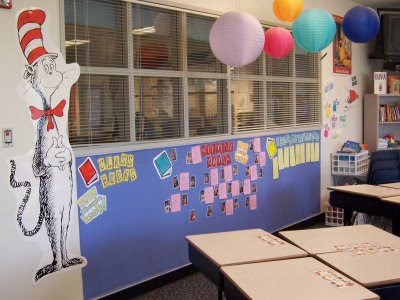 I have fourteen years of classroom teaching experience in grades 2-3, and am passionate about helping teachers engage every learner and personalize instruction using projects, menus, and challenges. If you're all about implementing super (yet practical) teaching practices, and love those little details that make teaching so much fun, you're in the right place! Want to know when a new blog post is published? Sign up here. Visit Katie Smith - I Want to be a Super Teacher's profile on Pinterest.